So..... today is a big day. A HUGE day. At least I had a great long week off - it really was nice - felt like a long time off... & I'm excited to get started. It's just getting through these first few days, weeks... probably months. But let the adventure begin - right? 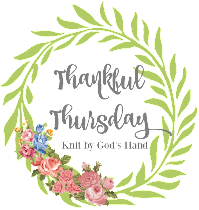 I got up on Thanksgiving & made a new recipe that someone gave me... a brussel sprout salad. It was delicious - I'll totally make this again. I may pre-make some to take to work even. Plus, it made for a really pretty dish. I was going to make a pumpkin pie but plans got a little off & my sister in law text me & said they were going to eat in about an hour so I didnt have time to make a pie. Totally turned out ok because they had pie anyways. I was excited to go over to my brother's because they just got 2 new puppies.... BRING ON THE PUPPY FEVER!!!!! I know some people are really passionate about not shopping on Thanksgiving because it reinforces the date to be open next year... but I think most people are falling in line with shopping Thursday night because Target was PACKED!!!!!! We made it through the line & it was nearing 9 pm & Ricky was hungry... I was too after he mentioned it... & we thought we'd just head home since nothing was going to be open. & Ricky was on the phone with Julie who mentioned Waffle House & I got all giddy excited!! I've never ate there before. Shocking, right? I dont know why... just never had a reason too. I literally was so excited, Ricky was like, "If I knew this would make you so happy, we would have come here for our anniversary dinner".... I told him to always remember I'm easily pleased. Ricky wanted to get up bright & early for Black Friday shopping... sadly, for me, I was up ALL NIGHT LONG with the dogs - each of them had something going on during the night. I had about 2.5 hours sleep so when the alarm went off at 4:15am I told him forget it - I'm staying home & sleeping. He went out though & told me to call him when I got up. Friday is literally a blur with all the shopping. 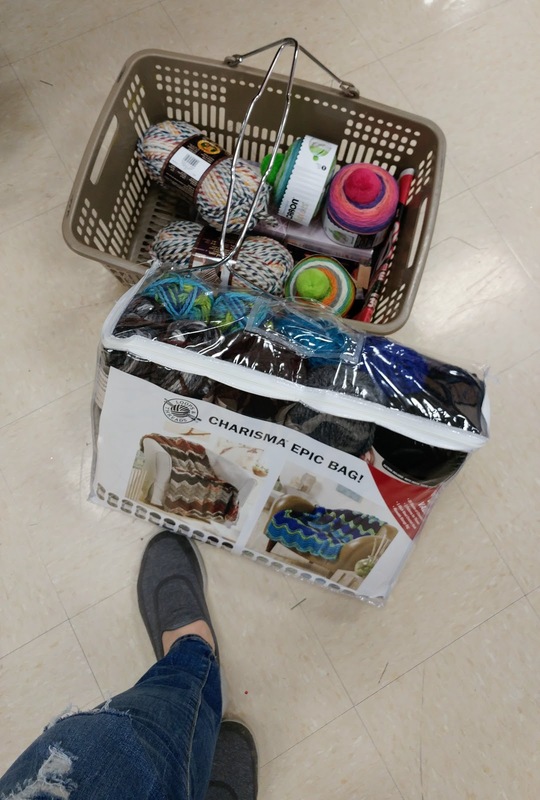 & I was happy because my main stop I wanted to go to was Michaels & snag up on the yarn sale. haha. Told you - easily pleased. Let me stress how well I slept Friday night though. EXHAUSTED!!!!! Not before I watched the cute new movie on Netflix, AChristmas Prince. Anyone else see it yet? & when I finished - we headed back out to get some things I needed - mainly things I needed for the new job - like new tights, new make up. 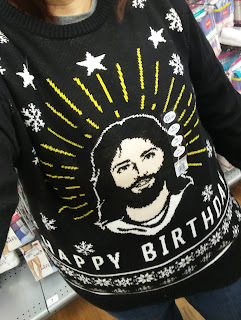 I even got to pick up my new Christmas sweater that I'm going to sport all of December - or as much of it as I can. 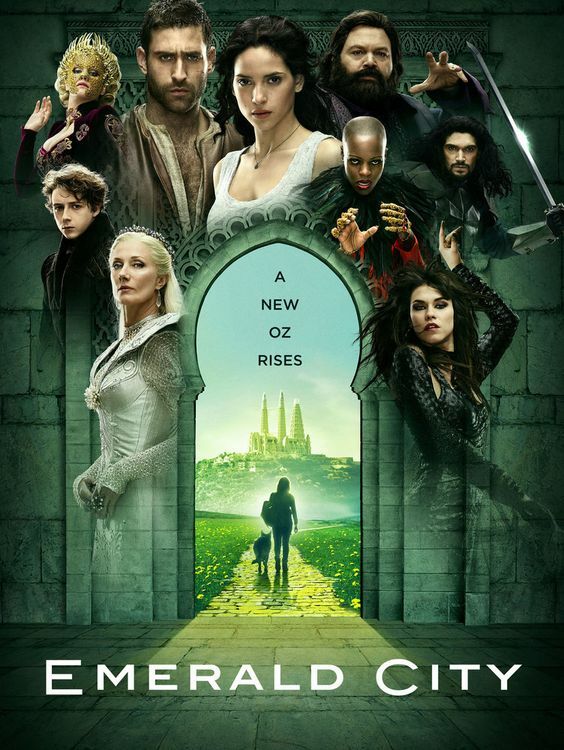 I spent the rest of my Saturday knitting & finishing up the series Emerald City... yeah, the series that was out in MARCH. Almost a year ago - oops. I loved it though & they totally set it up for another season & it just makes me sad that it wont be coming back. I really did like it. Shoot. Before I left, I had made some quiona, sweet potato, black bean chili - DELICIOUS. I love crock pot recipes. I need to make more of them actually. Especially during winter. OK... I can do this - right? Someone remind me of that. Distract me - tell me how your Thanksgiving went. Did you do some Black Friday shopping? Seen any of the movies I mentioned? Wish me luck today everyone!!!! You will have a WONDERFUL first day! I just know it! And then I can't wait to read all about it! I still can't believe you've never been to Waffle House! Stephanie said its one of the first places she wants to go to when she gets home in three weeks! Of all places? WH? Oh, well. Enjoy your Monday! I hope you have a great first day at your new job! It looks like you had a really nice weekend celebrating Thanksgiving. The brussels sprout salad really is a pretty dish and that game looks like it would be so much fun! i have that salad on my to make list and will be doing it for christmas. Good luck today!!! You'll have a fantastic day!!! Looks like it was a great holiday weekend and....PUPPIES! I'm still off today because...first day of deer season so no school. I've been ODing on Hallmark Christmas movies all weekend or at least as often as I have control of the remote, which is late in the evenings so I've been staying up way too late every night. What a productive time off! Your Brussels sprout salad looks good. Will you be sharing the recipe? 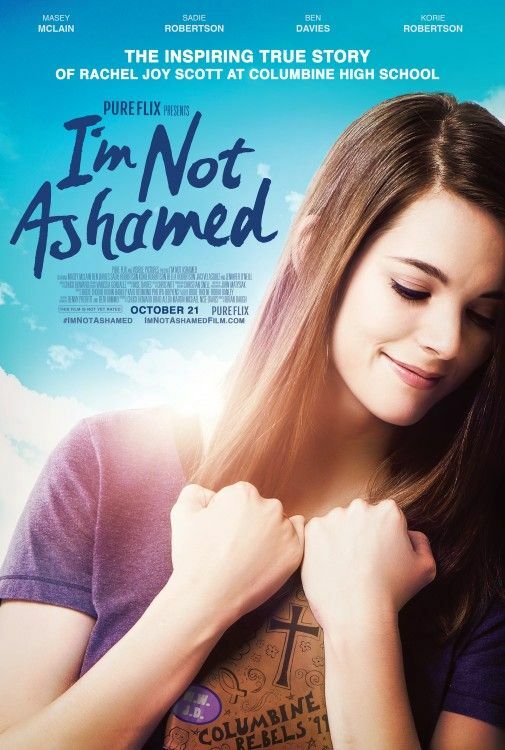 What is that movie " I am not ashamed" about? It looks interesting. No Black Friday shopping for us but we did go out a bit on Saturday. Good luck today on your new job. They are very lucky to have you and I just know they're going to love you! 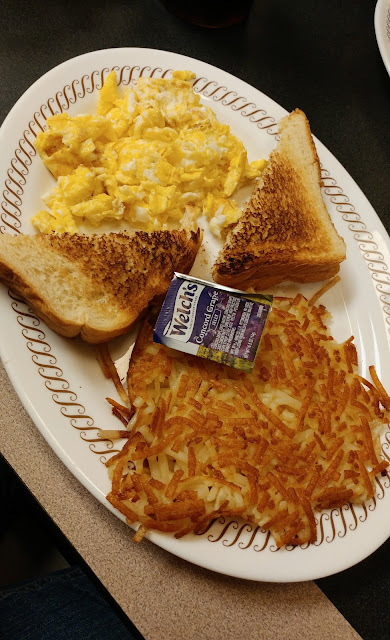 Waffle House is amazing. Can't believe you had never ate there, girl! haha glad you enjoyed it! Best wishes and good vibes as you start your new job today! Good luck at your new job, Rebecca Jo! I know how scary exciting it is to start a new job and new phase of your life. But you will be amazing and your new co-workers are going to love you! I am not a Black Friday shopper. I grew up in a small town where Black Friday meant little because it was just Walmart. :D So it's never been a tradition for me, although Cyber Monday I enjoy! They will LOVE you! You are a hard worker, creative, and super super fun! How could they not love you? Sending you all the love, prayers and luck! I have not seen Christmas Prince. Will have to check that one out. But I have seen I'm Not Ashamed. It was so good and so sad. Those puppies are adorable. My sister just got a new one and I got to spend time on Thanksgiving with it too. I can't wait to take my dog over to meet hers. You and Jesus have this new job thing. I've been praying for you. Hope the first day at the new job is going well! You've definitely got this :) Those puppies are so adorable. Best of luck at your new job!! I'm sure they will love you. So jealous that you went to Waffle House, I love that place. Sadly, we don't have them up here. Good luck today! I hope your first day is a good one. This is always one of my favorite weekends to kick off the holiday season. I went to toys r us and babies r us before I headed into work on Friday and they were dead. I also made my way to Home Depot and they were packed, who knew lol. I wanted to see I'm Not Ashamed, was it good? You can do this! Have a great day! My sister was telling me how much she loved A Christmas Prince. I need to watch that! Hope the first day is going great!!! Good luck on your first day!!! I am sure you will do fine :) Breathe girl! You got this! 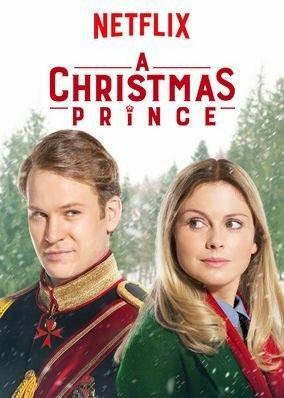 I want to watch A Christmas Prince and haven't yet because I was lured into The Heart of Christmas on Netflix with Candance Cameron Burre and cried my eyes out for an hour and a half and swore off anymore new movies that night haha. Sounds like you guys had a good holiday weekend and scored some good deals! That salad looks yummy! Good luck today!!! I'm excited to hear how wonderful it went for you! Well, I'm reading this at 4:30 so your first day is probably almost over. I'm looking forward to hearing how it went!! I hope it was a great day! And hope the pups are okay. I can't imagine having a husband who ENJOYS Black Friday. I will have to watch that Christmas movie. I think I have it DVR'd. Those puppies are just sooo cute. Love the looks of that salad.